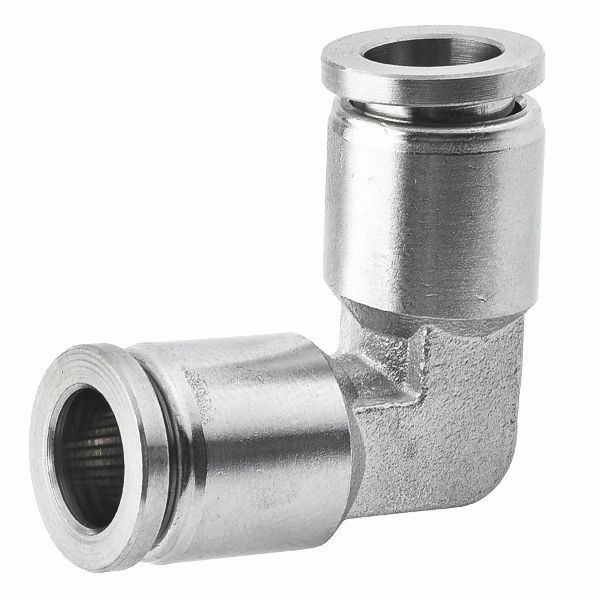 Stainless steel push to connect fitting union elbow construction makes these fittings ideal for harsh environments that demand chemically resistant fluid lines. Whether required for a process area with frequent detergent washdowns or exposure to highly corrosive chemicals, these fittings ensure uninterrupted air or fluid lines. Matching material of construction to your stainless piping will reduce the effects of thermal expansion differentials and minimize line leakage. Inch sizes: 5/32", 1/4", 3/8", 1/2"